We’d love your help. 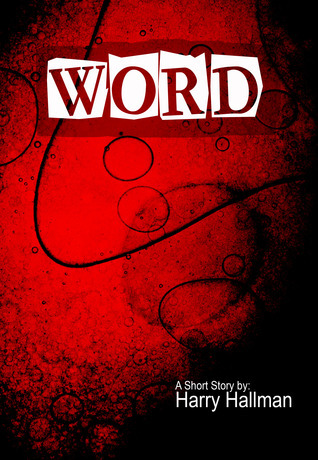 Let us know what’s wrong with this preview of Word by Harry Hallman. "When a word game turns deadly, how do you fight it?" Who do you go to for help? Martin must answer these questions before he becomes the next victim of an insidious plot. In a single day Martin's simple life as a business executive is turned upside down, because of his fascination with word games. And he is not the only one in danger. To ask other readers questions about Word, please sign up. It's not an exaggeration that I was absolutely blown away by this story! My expectations were that it was going to be a funny little passage about playing Words With Friends... A nice, light read. You will be pleasantly shocked at the dark twists and turns this story takes. I'm reluctant to say more, and deny anyone the ride I just experienced. Read it, before the movie comes out... Lol! I've always been a fan of short stories. You don't normally see this kind of character development and fully r It's not an exaggeration that I was absolutely blown away by this story! My expectations were that it was going to be a funny little passage about playing Words With Friends... A nice, light read. You will be pleasantly shocked at the dark twists and turns this story takes. I'm reluctant to say more, and deny anyone the ride I just experienced. Read it, before the movie comes out... Lol! Authors shouldn't rate or review their own work. Reader's reviews, each and everyone no matter good or bad, are teaching vehicles for the writer. Thank you for your reviews. Corporate executive Martin is doing well for himself and enjoys playing a word game on his phone. This day, a new player has entered the game and makes it come dangerously alive. This seemed like an ordinary day for Martin. Therefore this story had exaggerated descriptions, making it mundane at times. Yet, I was hooked. There was something about the way it was written that made me curious about where the story was going. I had forgotten the description for this one (as I often do) and read it col Corporate executive Martin is doing well for himself and enjoys playing a word game on his phone. This day, a new player has entered the game and makes it come dangerously alive. This seemed like an ordinary day for Martin. Therefore this story had exaggerated descriptions, making it mundane at times. Yet, I was hooked. There was something about the way it was written that made me curious about where the story was going. I had forgotten the description for this one (as I often do) and read it cold. All at once, this seemingly ordinary tale twisted darkly, turning this into a startling thriller. In fact, the last couple of paragraphs are why I read horror at all and definitely made this worth reading. The writing was not too bad. The story flowed well. Important plot details were cleverly included. There were no modern identifiers here that will date this. For the author: The only drawback was the over pronouncement of descriptions. As a reader who hates it when authors describe specks of dust in a room which the main character is entering, I can tell you there was some of this but only slightly annoying in this story and not too bad. It is okay the way it is. However, the story would have benefited from a bit more polishing. This was a short, quick read and definitely entertaining. After reading this, I would be willing to read another story from this author. Beware there is strong language with several F-bombs. It is a thriller, but no more violence than, say, what you would see in any crime television show. I would highly recommend this for horror and thriller lovers. Martin is doing great and has everything he could hope for. He’s a big fan of playing games and doesn’t think twice accepting an invite to play a game version similar to Scrabble with a stranger. When VN76 begins to play, Martin is smug and knows he can easily beat them. The next day he goes about his normal business until he begins having one of those days. You know the type, where one thing goes w Short stories are difficult to review without going into extensive detail and revealing the plot. This review and more are posted at Literary, etc. Hallman was born in 1944 and raised in the Kensington section of North Philadelphia. That was a year before World War II ended. He was influenced by the stories told by returning servicemen and the proliferation of war movies that were shown on the then new invention of the television. With the influence of movie heroes such as John Wayne, and real heroes like Audie Murphy, he gained a healthy respect for his mother and father's generation and their sacrifices. His uncles on his mother's side both served in WWII, one in the Army and one in the Navy. Hallman's father was Harry Hallman, Sr., a champion billiards player who also owned a poolroom called Circle Billiards, located at Allegany Avenue and Lee Street. The younger Hallman spent many hours after school at his father's poolroom and watching his father play in other poolrooms in Philadelphia and New Jersey. The people he met, some belonging to the real K&A Gang, influenced his writing of the Mercy Row series.